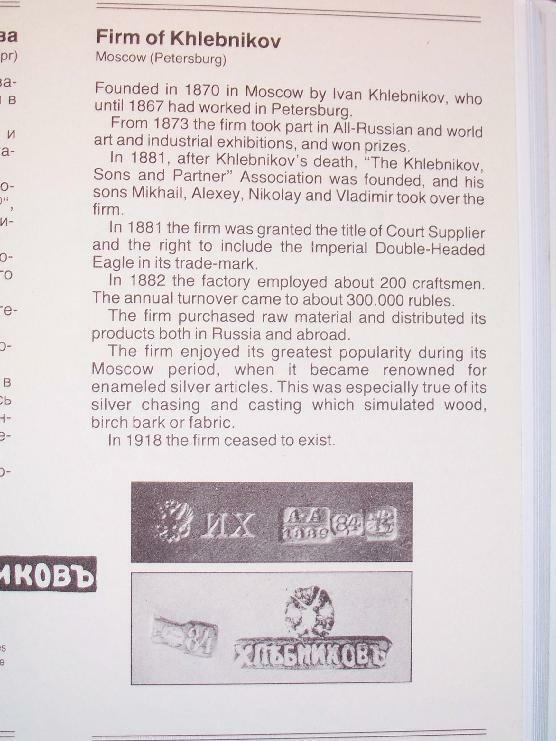 by famous Ivan Khlebnikov. 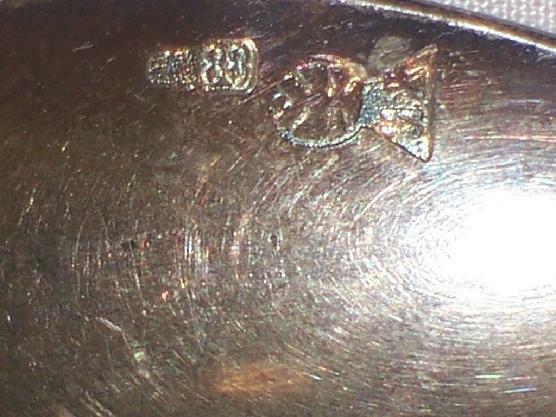 Marked with the 88 silver standard. 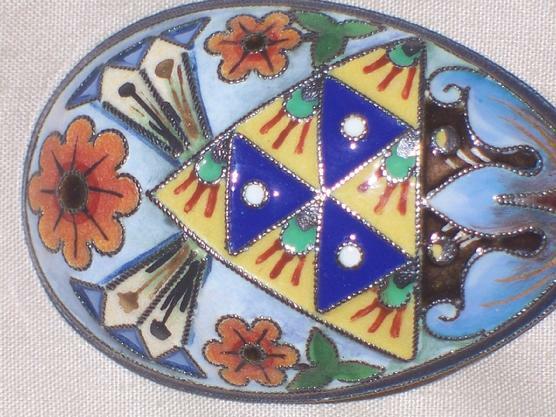 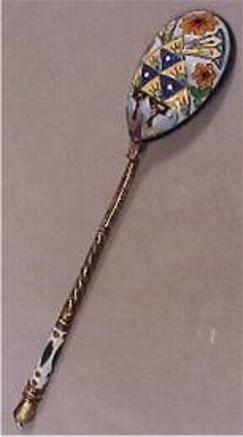 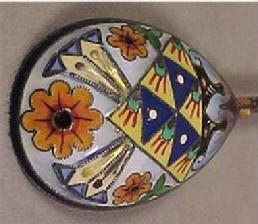 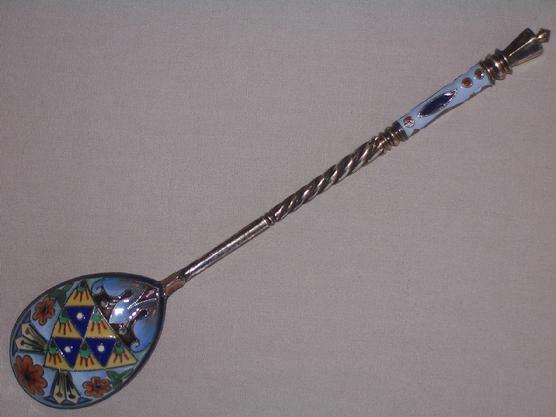 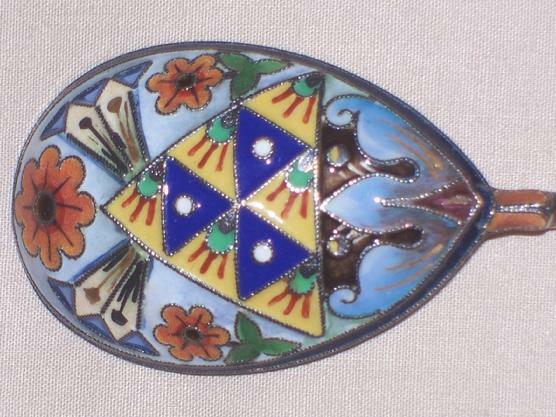 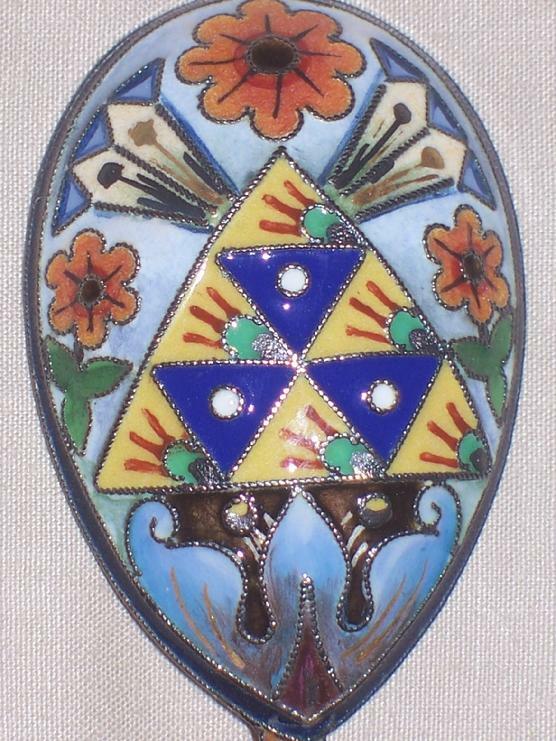 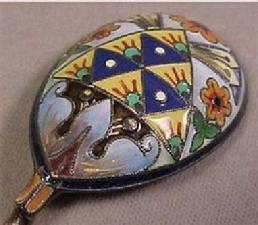 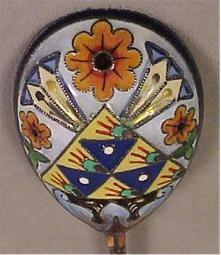 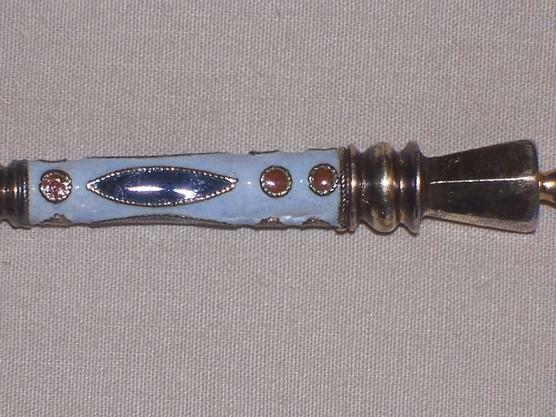 Additional enameling is to be found on the handle. 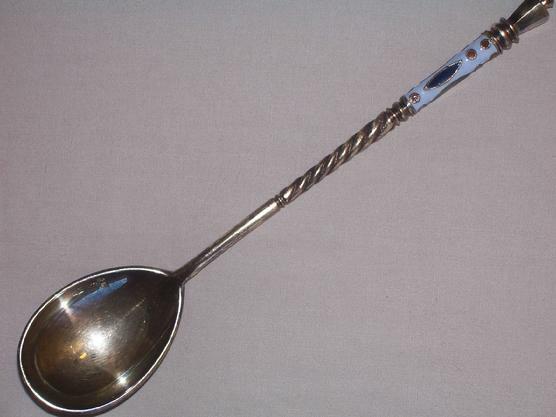 Length: 5 3/4" or 145 mm. 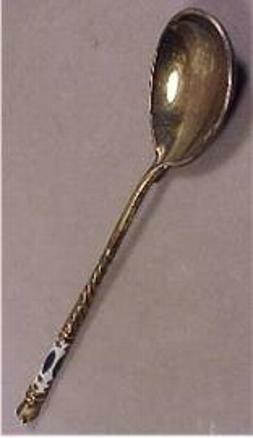 Weight: 1.0 oz or 29 grams.